This Hike is led by GWH Ambassador Amanda Bartell! Come out and enjoy this leisurely hike through Auburn, which features a waterfall, while getting to know some of our members. Meet at trailhead entrance. I will be creating a map in the near future to illustrate parking options. This Hike is led by GWH Ambassador Arcadia Alatorre! Men: Yes, if anyone you know is doing the 6 Peak Challenge, feel free to invite! This Hike is led by GWH Ambassador Sydney Villarreal-Koerber! Dogs: Yes, but lots of ticks on the trail! This Hike is led by GWH Ambassador Arcadia Alatorre! This is the 4th Peak of the Northern California 6 Pack of Peaks Challenge. AllTrails Track:Check out this trail on AllTrails. This Hike is led by GWH Ambassador Arcadia Alatorre! Mount Tamalpais is the 3rd Peak of the Northern California 6 Pack of Peak Challenge. This is a difficult hike - it’s RED on the GWH scale and is 13 miles long with lots of uphill sections. In order to finish within 7 hours, I ask that you please only attend if you can comfortably maintain a pace of 2 mph so we don’t end up hiking in the dark. Trail Rating: RED: Strenuous hike, elevation gain of 2,300+, 10+ mile distance. 4L of water required. Hi Ladies! This hike is led by GWH Ambassador Eileen Takeshita! I've never explored this side of Henry Coe State Park, so I'm excited to check it out! This Hike is led by GWH Ambassador Arcadia Alatorre! This is the 2nd Peak of the Northern California 6 Pack of Peaks Challenge. This Hike is led by GWH Ambassador Amanda Bartell! Please join us for our (rescheduled) 2nd annual Peter Grubb Hut snowshoe! This hike will be held in support of one of our members,Melissa Bailey, who is working to rebuild her second grade classroom at the new location of Paradise Elementary School, which was recently destroyed in the Camp Fire. All attendees are encouraged to bring gift card donations for Melissa's school. We are requesting gift cards and not physical items at this time, as the new location has extremely limited storage space, and they are still determining their exact needs. Trailhead Coordinates/Address: Meet in front of the Boreal Inn. You will likely need to park within the Sno-Park boundaries. Daily permits are $5 and can be purchased inside of the Inn. Dogs: Yes, but this is a strenuous trail and may not be the best for older or less active dogs. Don't forget to bring enough water for your pooch! GWH Trail Rating: Moderate hike, well-signed, elevation gain of between 1,000-2,000ft., low altitude. Novice hikers welcome! 3L of water required. Dogs: Yes, on leash. Bring at least a liter of water for furry friends. Please join us for our 2nd annual Peter Grubb Hut snowshoe! This hike will be held in support of one of our members, Melissa Bailey, who is working to rebuild her second grade classroom at the new location of Paradise Elementary School, which was recently destroyed in the Camp Fire. All attendees are encouraged to bring gift card donations for Melissa's school. We are requesting gift cards and not physical items at this time, as the new location has extremely limited storage space, and they are still determining their exact needs. Hi ladies!!! My name is Miriam and I’m an ambassador for GWH SF/NorCal and I’ll be co-hosting this hike with one of our new ambassadors, Kayla (2017/2018 LA chapter ambassador)! I will bit be handing out punch cards at this event. They’re available through purchase of a New Member kit only. This will be a CO-ED and KID friendly hike! This hike is open to all hikers of all skill levels. We’ll be hiking as a group and nobody will be left behind. As with all GWH events, you must sign the GWH waiver before attending – it takes less than a minute to sign, and once you’ve signed it once you’re good to go for all future meetups. Please join us on this co-ed, kid-friendly hike in support of the Amrose family, who recently lost their home and all of their belongings in the Camp Fire. I am asking that attendees bring a small token of support for the family to spread the holiday cheer. They will be joining us on this hike! This family includes Dan (dad), Dawprakai (mom), Alyssa (age 6), Anickalie (age 8), and Jaiden (age 11). This outdoors-loving family is extremely kind and humble. When I asked them to provide me a list of "wants," the response that I received was, "We don’t need a lot. We are more happy fishing or swimming or camping then we are with all the new gadgets and this fire has brought us even closer as a family." They are looking forward to an opportunity to get outside and forget about the many stresses they are enduring. Hi Ladies! This official hike is hosted by ambassador, Tiffany Vannasing. Now that the weather is getting cooler in the South Bay, let's hike and explore a local trail. All skill levels and paces welcome to this hike. Come out and meet new friends. After the hike, whoever wants to join, we can grab lunch and a drink! Trailhead Coordinates / Address: see all trails link below. Permits / Passes: $6 parking fee, carpool if you can. This event will be hosted by Girls Who Hike NorCal ambassador Amanda Bartell. We will be hiking down the canyon to the North Fork of the American River via the Euchre Bar Trail. This is a challenging out-and-back with all of the downhill FIRST and all UP coming back. After finishing the trail, we will stop near the beautiful bridge at the bottom to eat and swim if weather allows. Hi ladies!!! 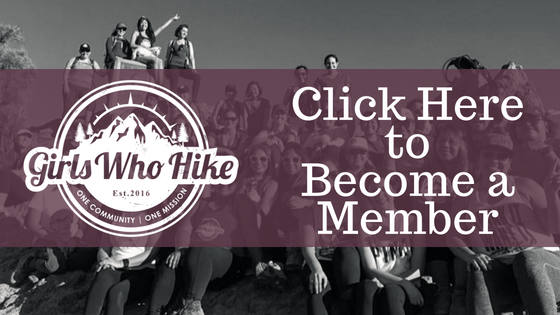 My name is Miriam and I’m an ambassador for GWH SF/NorCal and I’ll be leading this hike! As summer comes to an end please join me on this short but scenic trail to the national and California landmark, Vikingsholm castle in Emerald Bay! This is a short trail down to the castle where we can have lunch and mingle. There is also an OPTIONAL tour of the inside of the castle once an hour for $10 per adult, $8 per child (7-17 years old) and free for children under 7 or with valid college ID. From the bottom of this trail, there are many other trails (cascade falls, eagle falls, rubicon trail) within a short walk. There is also Fannette Island which can be accessed thru kayak or paddle boards which can be rented at emerald bay beach. So although our hike will be short I hope we can enjoy many of the activities Emarald Bay has to offer at one of South Lake Tahoes most scenic locations. Please bring at least 1L of water, appropriate footwear, sunscreen and snacks. We will be spending time by the lake so feel free to bring lunch and snacks as well as extra clothing and towels if you plan on getting into the lake. This Hike is led by GWH Ambassador Eileen! This is a long hike and can get really hot. I'm hoping that it cools down in the next couple of weeks. But it's a great hike that takes you up a ridge on the other side of the valley that we'll cross. Last time I was here a bobcat ran right across the trail in front of us! This trip is open to adventurers of all skill levels. This event is hosted by Girls Who Hike Ambassador Eileen! The first 10 attendees to show up will receive special Girls Who Hike giveaways before the hike starts. Parking lot (will do some research about where exactly to park and will update). Would like to do introductions and hand out giveaways and be on the trail by 8:45am. YELLOW: Moderate hike, well-signed, elevation gain of between 1,000-2,000ft., low altitude. Novice hikers welcome! Hi Ladies! This is a beautiful hike along Fall Creek. It passes by “Big Ben” the giant redwood. Please be sure to bring enough water and snacks. This is a ladies only hike. Looking forward to seeing you all! Please see the Facebook event (link below) for more information! This Hike is led by GWH Ambassador Tiffany Vannasing! Come join me at Relief Reservoir Trail in the Sierras! My favorite area of California besides Big Sur and you only get to go on Highway 108 when it's open in the summer. Trail Rating: YELLOW - Moderate hike but will summit at about 7500 ft. Some experience in higher altitude is important to prevent elevation sickness or know your limits. Please let me know if you have questions. I plan on camping there the night before on Friday night and after the hike on Saturday night. There are a few campgrounds on Highway 108 with first come, first serve sites and also wilderness camping if you get a wilderness permit. If you want to try your luck in the area, feel free to! During the hike, we can also talk about it if you decide to try to camp Saturday night. It's beautiful in the Sierras in July. Meeting Location: There is parking on the side of the road passed the main parking lot. Please see the all trails link to see where the Lime Kiln Trail starts and where you should park on the road. I'd like to gather at the trailhead and do introductions and hand out giveaways and be on the trail by 7:30am. Hi Ladies! I've never actually gotten to the summit of El Sombroso before, so I'm excited to finally finish this trail. The last time that I attempted it, I ran into a rattlesnake in the middle of the trail. It was coiled up and ready to strike at us, so we turned around. I'm not telling you this to scare you off, but it's the reality right now in the area, as I'm sure you have all seen from the many articles out right now. So, please don't let that scare you off. Please let it be a reminder to be aware of your surroundings at all times. I'm guessing this hike will take approximately 5-6 hours. Please be sure to bring enough water and snacks. This is a ladies only hike. Looking forward to seeing you all! Hey girls! Ambassador Tiffany here hosting my official hike for the month of June. Staying local in the south bay for this hike to Black Mountain in Los Altos. Bring water, snacks, and if you have hiking poles. Afterwards, we can grab a bigger lunch and a beer somewhere. Come out and make new friends on the trail! I make new ones on every hike. Carpool always encouraged. And for our newer members, please ensure you sign the GWH waiver. 1 waiver clears you for all future meetups.